Dragon’s Blood is a pigment that was widely used in furniture finishes before and in the early 19th century. Synthetic dyes and a shift to different preferences in wood species moved makers away from this very popular finish, and of course, the dying off of dragons, the source of the dye . . .
Dragon’s blood comes from the crimson red resin produced by several trees in the Dracaena family, a genus of trees and succulent shrubs. 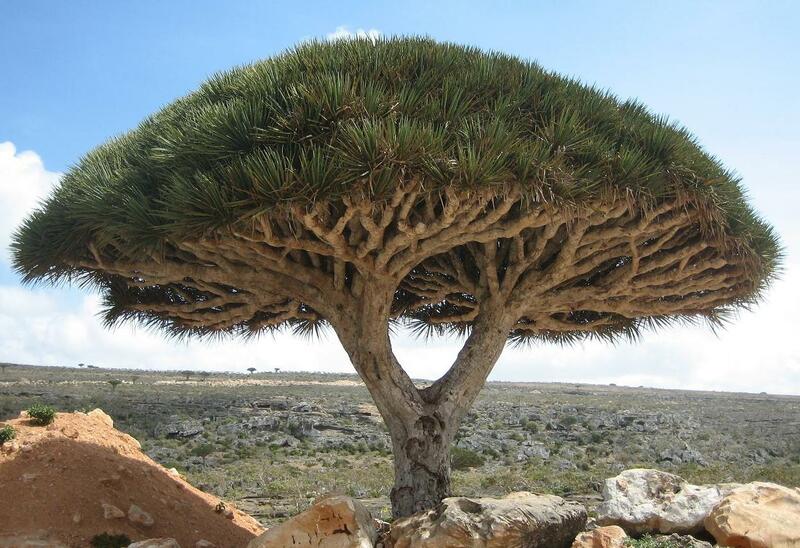 The favorite source was from Dracaena cinnabari, a dragon tree native to the Socotra Archipelago (four islands) in the Indian Ocean. 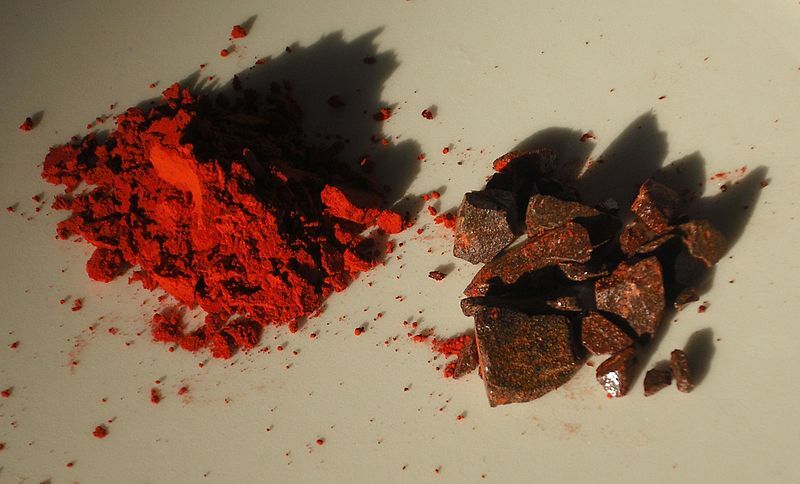 This resin produced a pigment also used in fabric dyes, lipsticks, and medicinally. As a varnish, it fades considerably, and this can be seen below (clockwise) in a game table from the McLoughlin House, in a decorative part of an Irish linen press, in an American Pembroke table, and in a very faded Hepplewhite chair. Sometimes it is hard to know that a piece was dyed using dragon’s blood until we open the doors or pull apart a piece and see the original color. It is still used today, most widely by makers of violins, and, of course, by conservationists! 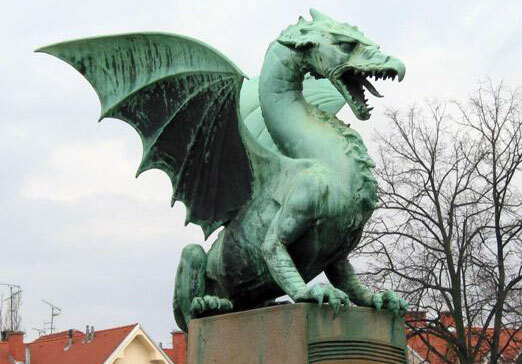 Image of the tree, resin, and of the Ljubljana Dragon is from Wikipedia! This entry was posted in antiques, pigments, restoration techniques, shellac, traditional varnishes and tagged blood, dragon, dragonsblood, John McLoughlin, pigment, pigmentation, red, shellac, varnish. Bookmark the permalink.